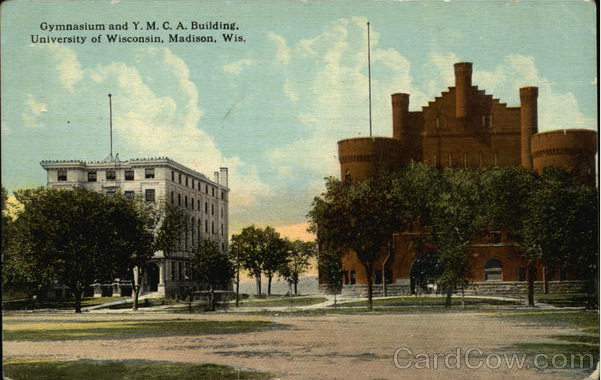 This building is significant for its association with the early history of the University of Wisconsin. It exemplifies the castellated medieval fortress variation of the Romanesque Revival style, and is unique for its combination of the armory and gymnasium building types. 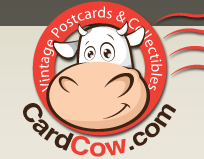 It is also significant for its association with historical political events, as the site of the 1904 Wisconsin Republican Convention, a seminal event in the history of the Progressive Movement. One of the most visually prominent buildings on campus, it features stepped gables, and towers with crenellated battlements. 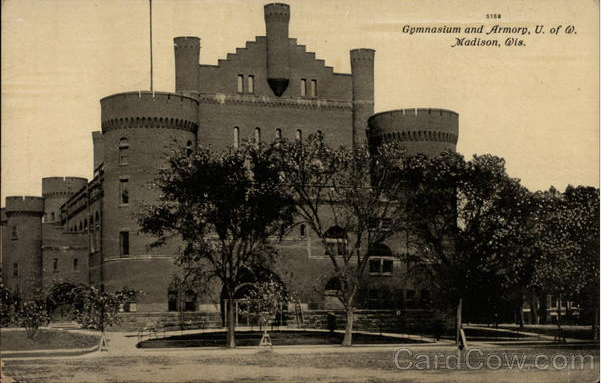 University of Wisconsin Armory and Gymnasium (aka "Red Gym") is located on the University of Wisconsin-Madison campus on westbound Langdon Street, west of its intersection with North Lake Street, at 716 Langdon Street, Madison, Wisconsin 53706. NOTE: The marker is located inside the front door of the building. The property is included in the National Historic Landmarks Program. 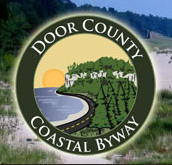 The property is listed on the Wisconsin State Register of Historic Places. 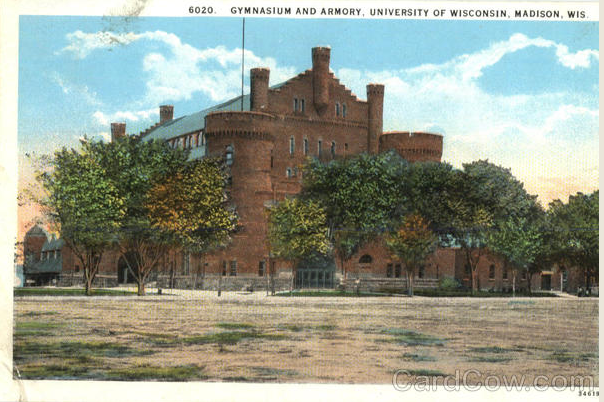 See also, University of Wisconsin Armory and Gymnasium, also at this location. The marker is No. 169 in a series of markers erected by the Madison Landmarks Commission. The marker is inside the entrance visible to the left. 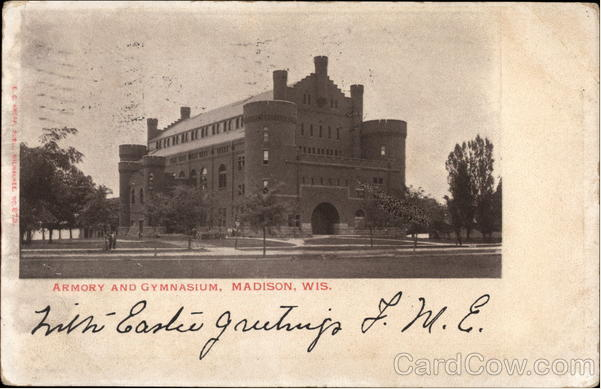 Armory & Gymnasium is located on the campus of UW-Madison.